Walking by the Dooney & Bourke window, I stopped on my track to take a second look at these bags for the classic simplicity. I suddenly recall these look like the Hermes Bolide (See Here) and the LV Alma (See Here). There are a few colors available to pick but I like this natural color. At $495 the Zip Zip tote is not cheap in any way but alot savvier than the Hermes or the LV. I am glad D&B is making classic simple designs. Do you like this shape in Hermes, LV and D&B?? Nice find. I like its simplicity and elegance. wow it really is similar~! hahah.. this is a very savvy find. It reminds me of office ladies and I'm not a fan of the shape/style. 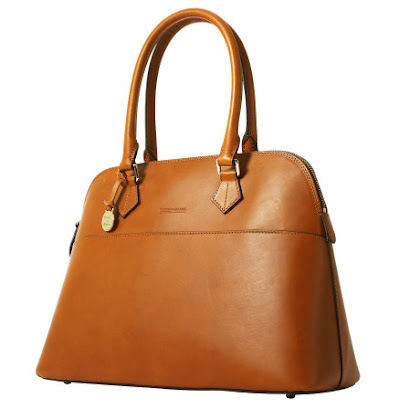 Perhaps for a person who is working in a corporate environment it is a great bag. Very savvy find, if it is leather, and has good zipper and good lining. I like the refined shape of the bag. Ideal for the modern busy corporate woman. What a great find! 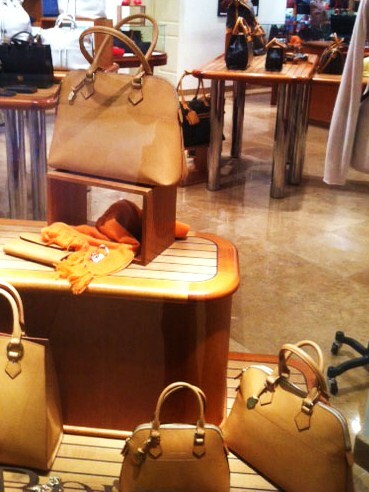 An Hermes is on my dream wish list! I do really like the shape of this bag. It's sleek and clean, and very sophisticated! Your color choice is great too. Will go well with anything! Love that one. So classic and the little feet are life savers!